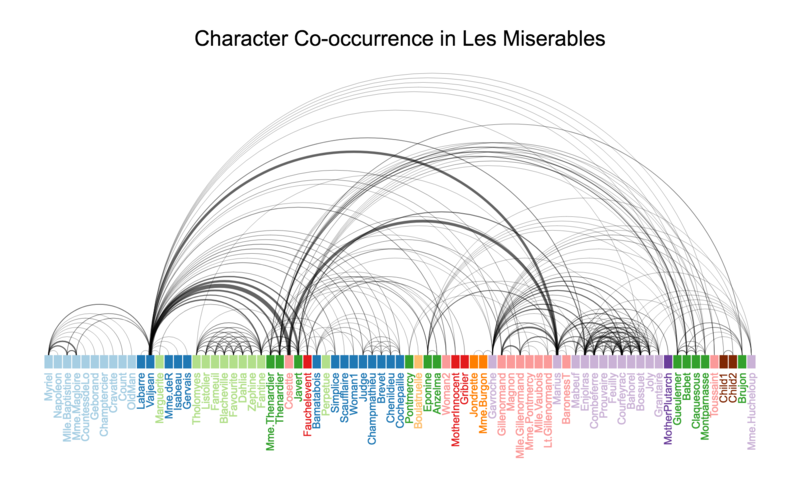 This visualizations shows the characters from Victor Hugo’s novel Les Misérables. Each rect represents a character, color-coded by the group of the character. Arcs are drawn to represent the co-occurrence relationships between the characters.